Important information about rates! 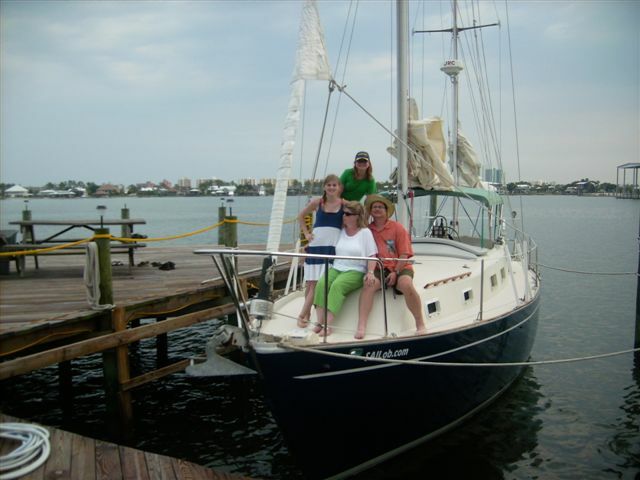 The trips provided by Orange Beach Sailing are PRIVATE and our price reflects that, There are no crowded decks of strangers and no one on the boat but the captain and your group. Our trips are like no other in Orange Beach, we cater to you our guests personally. We price our sunset trips 2 different ways, Private & Shared. A private charter means it is only your party (max 6 people) and the captain on the boat. Private sunset trips are truly an amazing trip, there are no other people around except the captain to ensure your safe departure and arrival. We can customize these trips anyway you would like, with refreshments and food, wine, champaign and music. Trip price is $425 and usually last 2.5 - 3 hours depending on season and weather. Once an evening is booked for a Private sail it is no longer available for a shared trip. If the evening is not booked privatley many couples choose the shared sunset crusie, we will only take 3 couples at a time. if you don't mind being with a few other people this is a great option and is $90 per person. Even though this is a shared trip it is still more private than any other boats in Orange Beach. Our Pre-Sunset sail is new this year and enables you to take a late afternoon sail and then go to dinner afterwords, it is a 2 hour trip. This is on of the best trips on the gulf coast to get the kids out of the pool or off the beach for a morning or afternoon getaway trip. These trips are private so it is only your group on the boat. We will sailing out into the Gulf of Mexico to search for bottlenose dolphins and lookout for sea critters. Kids even young children love this trip. It is just long enough to enjoy the water but not to long where younger children may get tired, We see dolphins on this trip probably 75% of the time. Sit back and relax on this great adventure! Sailing is about the journey not the destination. The 4 hour trip is the perfect trip for people wanting to truly re lax and get away from it all. You could help navigate the boat, learn to sail, or just sit back and let the captain do all the work for you. It's your private trip so what you do is up to you! We often drag a fishing line on these trips just to see if we can convince any hungry fish up to the surface, surely to be released back into the emerald green waters of the beautiful Gulf or Mexico. We see dolphins on this trip 75% of the time. Looking for a group or family adventure? on a budjet? We have the perfect way to spend the entire day. This trip is hard to some up in a few paragraphs but i'll try. We start the beautiful summer day out departing the dock around 8:00 am (I know this seems early when on vacation but trust me, it's worth it). We usually try to get out in the gulf sailing on the first leg of the trip depending upon the wind direction and speed. We will sail East toward Pensacola Pass. This is Usually a 3 - 4 hour sail. Upon arrival at Sand Island we will drop the hook (anchor) up for lunch and swimming. This is trully a great spot for lunch, the water is crystal clear and you can swim and snokle in these protected waters. A short swim away is Fort McRee which was contructed in 1834 to protect Pensacola Bay from an attack b y sea. The whole area is beautiful to watch. Surely there might be time for a nap in this magical and historical place? You can go up to the fort and explore the ruins. fish off the boat, lay on a float, look for shells along the shore, the list goes on and on. The is our short stop along the Florida Gulf Coast... Florida? Didn't we depart from Alabama? Yes you did but only 3 miles down the coast we entered Florida. After you have had enough time laying around and exploring we head offshore to capture on of the most beautiful sunsets you have ever seen. Off shore sailing at is best, West into the sunset to enjoy a relaxing sail all the way back to Orange Beach Alabama. We arrive back at the dock shortly after sunset usually around 9:pm. It has been a great day enjoying the Northern Gulf Coast! Now, if you have other ideas about an all day adventure of your own, we can also offer that. Many people book the all day sail to test their sailing skills and would much rather spend all day sailing rather than stopping for lunch and a swim. No problem, it's your trip just let us know what you would like to do! We see dolphins on this trip 99% of the time. If you have any questions, please feel free to give us a call at 251.981.7245 (SAIL). we would live to hear from you.